IHE students often receive internal and external fellowships, internships, scholarships, and awards to help with coursework, research, dissertation writing, and travel. Given annually to a doctoral student who is pursuing rigorous original scholarship in the field of higher education. Eligible students will have completed their comprehensive qualifying exams and be in the early stages of dissertation research. 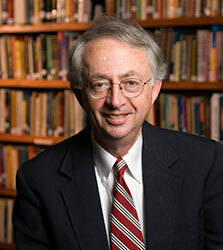 The award is named in honor and memory of University Professor, Professor of Higher Education and History, and longtime University of Georgia administrator, Thomas G. Dyer, who served as Institute director at the time of his retirement in 2006. This award is designed to promote and support excellence in the study of higher education through doctoral research. Giving to the Dyer support fund helps sponsor this award. Awarded annually to a doctoral student of high promise in the Institute of Higher Education. In making its determination, the IHE Graduate Studies Committee takes into account the scholarly potential of the candidate together with an assessment of his/her academic record and professional achievement. The fellowship was established to support doctoral study of significant issues in the field of higher education. Giving to the Miller Fellowship helps sponsor this award. The inaugural award was given in 2018 to a student who showed potential for leadership in colleges and universities and fosters a commitment to the land-grant missions of instruction, research, and public service. 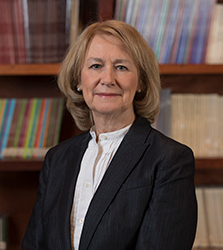 Dr. Morris is currently the Zell Miller distinguished professor of higher education and serving as the interim senior vice president for academic affairs and provost for the University of Georgia. Giving to the Morris Graduate Student Endowment helps sponsor this award. Presented annually to a student who combines a strong record of academic achievement with commitment to the professional field. In making its determination, the Graduate Studies committee considers the student’s academic achievement and his/her service to the profession, as noted by institutional engagement and/or service to the profession. The award is named in honor and memory of J. Douglas Toma, professor of higher education and founder of the Institute of Higher Education’s Executive Doctoral Program in Higher Education Management. Professor Toma was committed to developing scholars and leaders in American and international higher education. Giving to the J. Douglas Toma Support Fund helps sponsor this award.